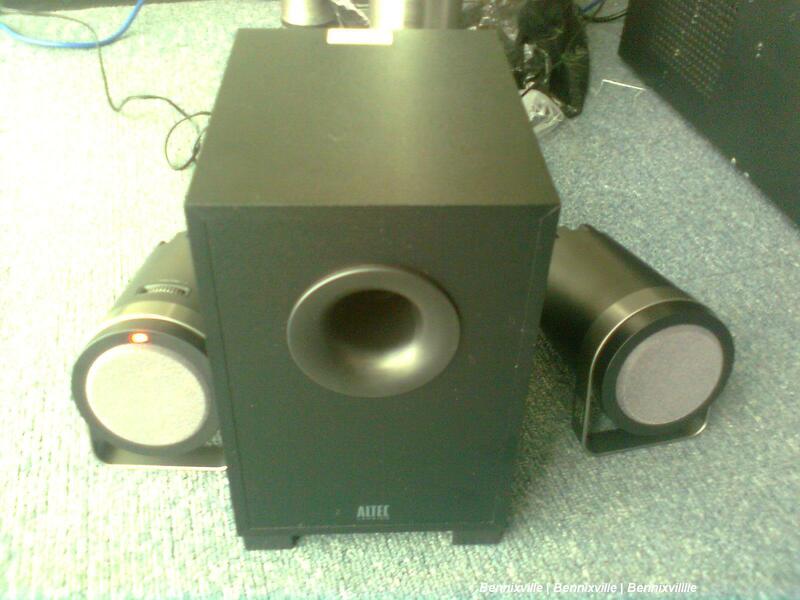 Home Reviews Is Altec Lansing 2.1 BX1221 a good Speaker System for you? Is Altec Lansing 2.1 BX1221 a good Speaker System for you? I've been planning to buy this Altec BX1221 Speaker since last year for my desktop until Alex, my friend just unboxed it last week-to be used in one of our office. I like the elegant and great stylish design of these speaker.The two separate satellite speakers compliment the the full sound spectrum, perfect for gaming action, music and movie experience. 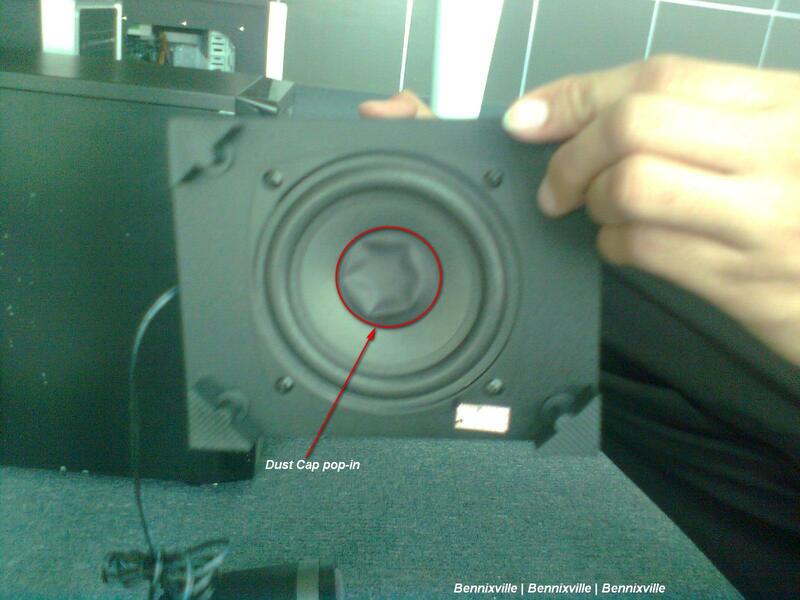 While testing the Bx1221, I like the wholeness and crispness of the sound it produces however, in just awhile we feel that there's something wrong with the Bass speaker, upon checking, we found out that the bass speaker dust cap got folded in as shown below. We can pop out the dust cap manually but we hesistate since it's under warranty so we return the the speaker to our supplier,maybe we'll ask for a change item. I think Altec must redesign it, the bass speaker is at the bottom ,so you must position the box properly to avoid damaging the dust cap.I think it's also vulnerable to rodent since there's no cover for it. For more info visit Altec's website. If you are convenient with this speaker then buy it. I don't mean to criticize badly with Altec because I love their products actually, I only say what I have observed, for good.